On 10th and 11th of Oct 2012 – INTERGEO – Hanover, Germany for Conference and trade fair for Geodesy, geo information and land management. AABSyS will be participating on this Exhibition. Hanover serves as a meeting place for trade visitors and exhibitors from around the world. INTERGEO is a successful interface between the present and the future, between users and providers, and between leads and actual business.The event is becoming more international. Today, a little over 30% of exhibitors and some 25% of visitors come from outside Germany. INTERGEO is the most important industry event of the year for around 87% of the exhibiting companies. This is because the fair attracts precisely the right sort of visitors, with target achievement for exhibitors at almost 90%. INTERGEO is the ideal place to launch new products and gather market feedback. Many companies use INTERGEO to unveil their innovations. This is where we can help exhibitors ensure successful trade fair participation. INTERGEO exhibitors can start planning their business success for 2012 – with a clear structure, effective services, multifaceted visitor marketing and management and a broad range of press services. 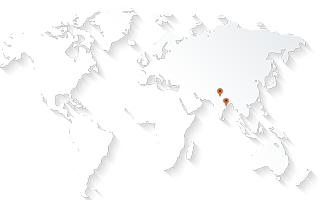 AABSyS is one of the top GIS, CAD, CAFM and Software Service providing company since 1998 to countries from UK, USA, Europe, Australia. AABSyS IT Pvt. Limited is a ISO 9001:2008, ISO 14001:2004 certified company, operational since 1998, having more than 150 dedicated professionals in the company. Web Application & Portal development, Customized Software Application Development, IT Support. Utility Data Capture or Documentation for electricity, water, gas network. GIS Data Capture, Raster to Vector conversion, Digitization, Geo-referencing, Rubber-sheeting. CAD / CAFM Services for facility management companies and engineering companies. Photogrammetry & Remote sensing services. Web based GIS application development for Municipalities, Governments, Corporate, Real-estate companies. Portal development integrating with spatial and non-spatial data on web-based frame-work. For meeting with our CEO on 10th & 11th October 2012 at Hanover, kindly send an email to Mr. Arun Patnaik, CEO, AABSyS IT Private Limited.